Is there something about lakes that gives you a feeling out of the ordinary? Some people are so addicted to lakes, because they are beautiful, quiet and healing. Sitting by a lake, you will not think about anything frustrated, just want to enjoy the tranquility at that moment. 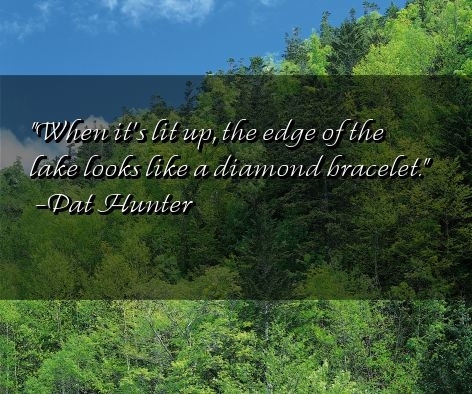 Think about that when you are reading these beautiful quotes about lakes! Feel its depth, and sink into another level of introspection. Feel the stillness of the waters. Shut down all the noise. Jump headfirst and enjoy the cool waters. Let the qualities of a lake be your life guide. Lakes are content with their mystical beauty. Show them how to keep you cool, just like a calm lake. Allow the wonderful scenery to trigger some serene thoughts inside of you. Of course, there are dangers. There are so many places to see, so many sights to discover. These are all the many wonders we've got to take notice of. We must be the one to protect God's creations. Beautiful things all rolled into one mental image. This is how biodiversity works. We used to enjoy the bounty of lakes for free. What happened? Do you want to play in the water, too? How long should we wait? Until there's none to protect? Hope not. It's all scary and mysterious down there. It is just a dead lake. How beautiful it is! Can you image? One of the quotes about lakes by a famous Chinese thinker – Lao Tzu.